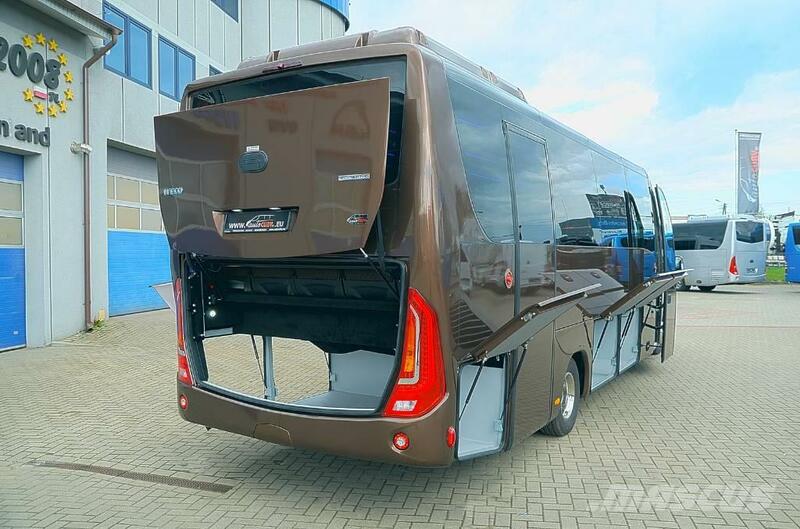 Прочая информация (348) Tourist bus CUBY IVECO C70 PREMIUM CLASS OPEN SKY 2018 - NEW MODEL !!! Engine power: from 180km → 220km !!! Fuel usage- 12 l/100km = about 1800 km Ride !!! Fuel tank: 220 liters !!! Biggest racks in Europe - 5m³ !!! Vehicle Meets the requirements of 66 Regulations !!! European homologation COC 2007/46 !!! Big fuel tank: 220 l.
If you are interested in configuring your ideal equipment and interior plese contact us directly. All components used for production have certificates homologation and hygiene certificate and present the highest world quality level. • SHORT PRODUCTION AND DELIVERY TIMES !! !